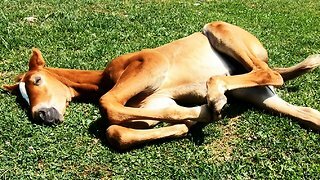 Rumble / Funny & Cute Animals - Who says humans are the smartest creatures? 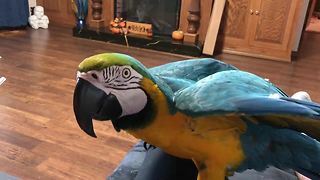 Have you seen this parrot? 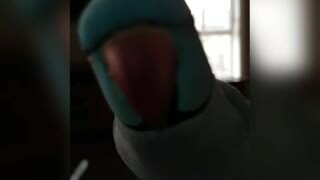 In this video, you can clearly see the parrot threatens its owner by knocking her out. I guess the owner was being annoying like we all are at times. 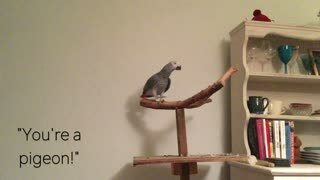 Only if the cats and dogs had speech abilities like parrots do, it would be perfect! Imagine the self-realization we would have had. Dogs are the sweetest animals no wonder. They love you more than you love yourself. 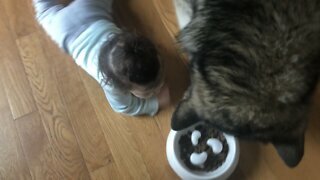 They are the most loyal animals ever. They say they&apos;ll sacrifice themselves for their owner and the way we treat them sometimes isn&apos;t always the best. Imagine your pet dog coming up to you and confronting you about your behaviour. Lol. How uncomfortable would that be? Well now about cats - we think they don&apos;t really need speech to express their discomfort or irritability. They do that pretty well without speaking. Be it scratching something it shouldn&apos;t be scratching in the first place or by ruining our stuff. Again think if they had the ability to speak. We don&apos;t even want to go there. And here&apos;s this parrot, who can say “Shut up” along with “I’ll knock you out”. How amazing is that? But did you see the way the owner&apos;s partner laughed? Sometimes we wish to be like that parrot and say whatever comes to our minds without being afraid that somebody will get mad or offended, or without caring for others and see people just laugh it off without taking it seriously? How easy our life would be if people actually did that. All the mean things said by others were taken so easily by others and they would just laugh it off. Life would be so simpler. Now back to the parrot. The parrot learned what he learned with the help of its previous owners. We wonder how they taught it that either by a screaming “I’ll knock you off” at someone or at the poor parrot. Sad life. 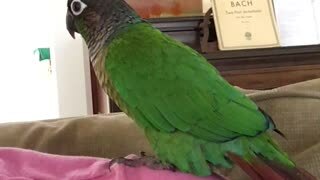 It is such a sassy parrot and we are pretty sure it likes being that way. Have you noticed its tone of speaking ? It behaves like a real boss! 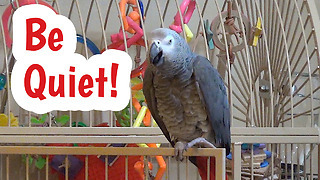 We wish we had a pet parrot like that who could speak and stuff. It could tell us when our hair looks really stupid and our outfit looks old-fashioned and not trendy at all. Someone who&apos;ll say “I’ll knock it off” if we are being a complete nuisance. Or say “Shut up” when we can&apos;t stop thinking about our sweethearts who we had met just two day ago. 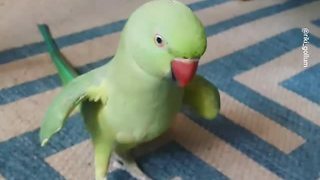 We hope over the time, this parrot will learn to speak more and more and eventually take up its owner&apos;s language so that all the language barriers among the parrot and its owners are stripped. But what&apos;s its original language anyway? Even though it has started speaking English, we wonder what was the language it used before? Any guesses? However, did you see all the colours over its body? Wonder what kind of a parrot it is. Have you seen a video like this before? Hope you have enjoyed this video and share it more if you want to say “I&apos;ll knock you out” to someone without actually saying it.